This article was updated on March 20 and March 22, 2019. It has been reported today that Norsk Hydro either switched to manual mode or temporarily stopped aluminum production at several plants following a cyberattack. The Norwegian National Security Authority and local media in Norway describe the incident as a ransomware attack by a malware called LockerGoga. The attack has apparently brought the company’s IT systems to a standstill. Given the significance of this attack, Nozomi Networks Labs has conducted a preliminary evaluation of LockerGoga. Read on to learn about this ransomware and our research team’s assessment of it. 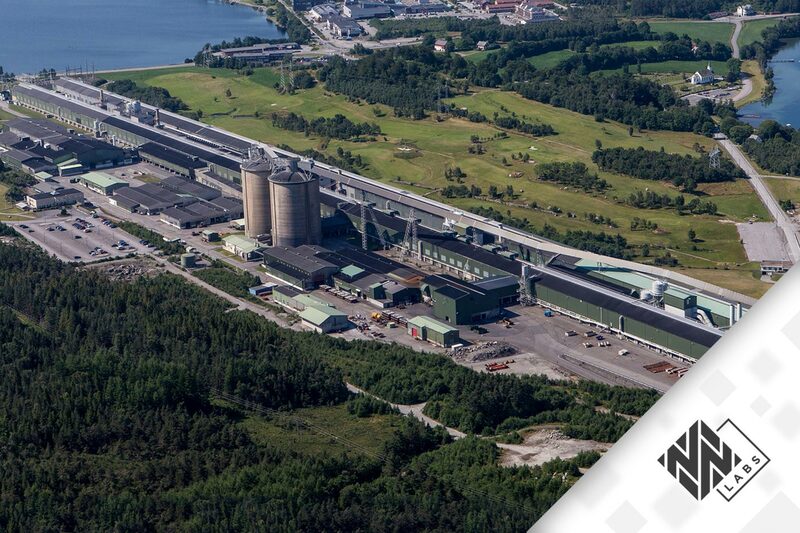 Norsk Hydro is one of the world’s largest aluminum producers. Some of its facilities have been impacted by a ransomware attack, which caused outages or a switch to manual control systems. Image courtesy of Norsk Hydro. Updated March 22: What is the LockerGoga Ransomware? DO NOT RESET OR SHUTDOWN – files may be damaged. The LockerGoga malware encrypts many file types and presents its ransom demands in the README_LOCKED. text file. This note is from the latest version of the ransomware, most likely the version that targeted Norsk Hydro. The message states that in order to get the files back, the user is forced to pay a ransom using the cryptocurrency Bitcoin. The malware encrypts files with the targeted extensions and then drops the ransom note in the filesystem, informing users about the steps required to get the files back. This is a classic approach used by most ransomware malware. The malware does not have the capability to spread to other targets, but it does appear to use some anti-analysis techniques to avoid detection by security analysts. For example, it seems to detect the presence of a Virtual Machine and has the capability to delete itself from the filesystem in an effort to avoid sample collection. Because the threat actors did not add any custom or complex capabilities to the malware code (C&C, DNS beaconing, etc. ), we can assume that its intended impact is disruption, rather than espionage. In the last 24 hours the Nozomi Networks Labs team has obtained four different LockerGoga samples. The multiple samples are an indicator that the ransomware is under active development. After execution, the malware moves itself to the directory %TEMP% in order to cover the malicious activity. The samples are not obfuscated and do not implement any anti-analysis techniques. The file containing the ransom note is stored in the Desktop folder and has different filenames depending on the sample. Using different hardcoded file names for each malware sample represents an attempt to bypass security solutions which rely on checking filenames created inside a system.Some observed filenames are: READ-ME-NOW.txt, README-NOW.txt and README_LOCKED.txt. It is highly probable that more filenames used in other variations of the malware exist in the wild. The extensions used to decide which files to encrypt are slightly different among different version of the samples. In some cases, we observed that the malware also encrypts .exe and .dll files. This increases the impact on the victim’s system because it encrypts Windows core files as well. All the samples run independently, without the need to connect to outside servers. These aspects indicate that LockerGoga is a classic ransomware malware. There is no functionality targeted at ICS specific devices or protocols, despite some of Norsk Hydro’s production being affected. How to do you know if you’re infected with LockerGoga? How do you get rid of it? You can identify an infection because the targeted files will be encrypted and the file extension “.locked “ will be appended at the end of the filenames. Currently, the only known way to remove LockerGoga from your system is to restore from backup. For Nozomi Networks customers, our OT ThreatFeed has been updated to include the capability to detect the LockerGoga malware. The Nozomi Networks OT ThreatFeed has been updated to include a Yara Rule for LockerGoga. Unlike many companies who didn’t revealed that they were subject to a cyberattack for an extended period of time, Norsk Hydro has taken a completely different approach. They quickly created a live stream briefing on the attack and are providing regular updates on their Facebook channel. In 2012, a malware attack cost Saudi Aramco approximately $1 billion in recovery efforts and required replacement of 35,000 damaged computers. The 2017, the NotPetya attack resulted in $10 billion in damages to supply chain companies worldwide, according to the White House. For example, costs to the pharmaceutical company Merck were pegged at $870 million. I urge you to stay tuned for further updates on LockerGoga. Subscribing to Nozomi Networks Labs notifications, via the link below, will ensure that you receive updates on this and other important Nozomi Networks Labs research. Stay up-to-date on all of the latest research from Nozomi Networks Labs. 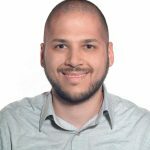 Alessandro Di Pinto is an Offensive Security Certified Professional (OSCP) with an extensive background in malware analysis, ICS/SCADA security, penetration testing and incident response. He holds GIAC Reverse Engineering Malware (GREM) certification, which recognizes technologists with the skills and knowledge to reverse engineer malware and conduct forensic investigations. In his role as Security Researcher with Nozomi Networks, he co-authored the research paper TRITON: The First ICS Cyber Attack on Safety Instrument Systems.